This week’s issue of Sports Illustrated features SI's fantasy football preview, complete with 21 pages of player and team profiles, rankings and a five-minute guide to fantasy football season. This week’s issue of Sports Illustrated is SI’s fantasy football preview, complete with 21 pages of player and team profiles, rankings and a five-minute guide to the season. 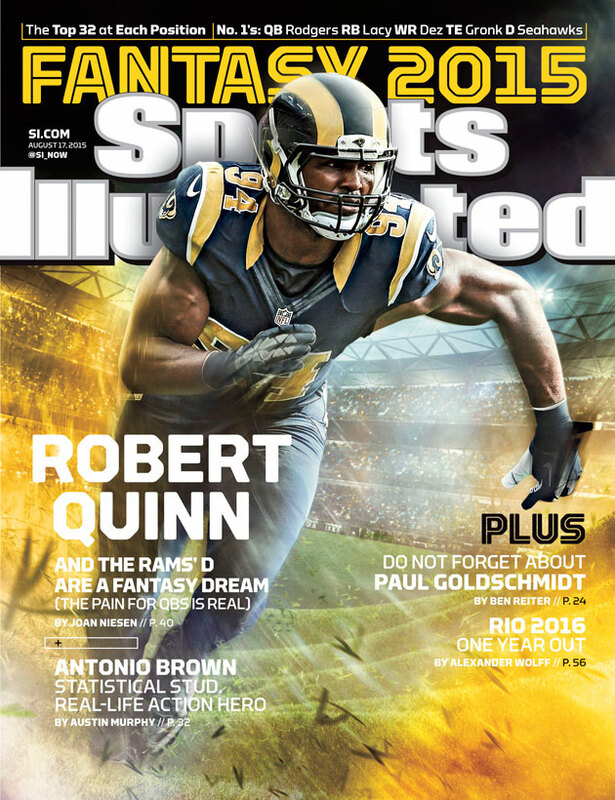 Four regional covers will hit newsstands and subscribers’ mailboxes, featuring Pittsburgh Steelers receiver Antonio Brown, Miami Dolphins quarterback Ryan Tannehill, St. Louis Rams defensive end Robert Quinn and Seattle Seahawks running back Marshawn Lynch. SI’s Austin Murphy profiles Brown, the undersized and underexposed wideout who, over the last two years, has been perhaps the NFL’s most productive wide receiver. Murphy profiles Brown’s path to the NFL, particularly his difficult upbringing in Miami’s Liberty City. SI’s Joan Niesen has a feature on the Rams’ defensive line, arguably the league’s best—and its goofiest, smartest and most entertaining. Finally, SI’s Michael Beller has the guts of the issue, his 5-Minute Guide to the fantasy football season: hidden gems, players to avoid, conventional wisdom that should be questioned and much more. 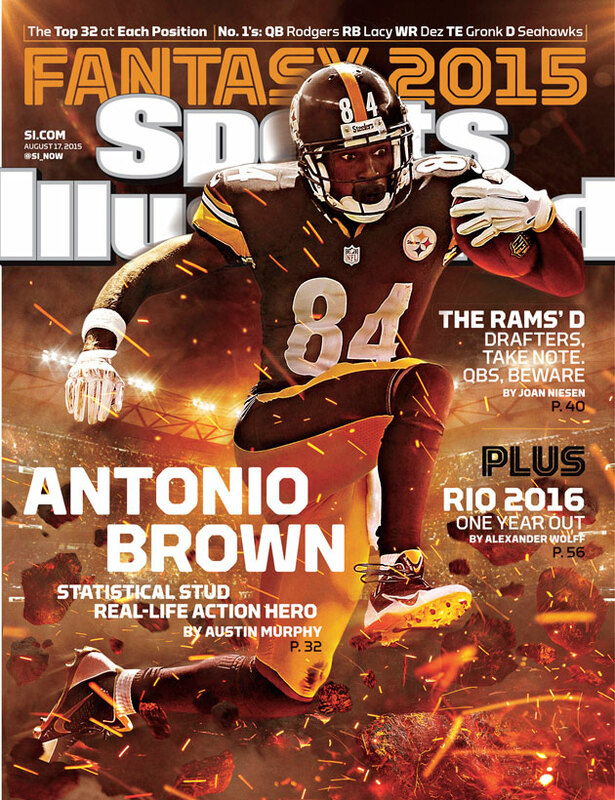 Subscribers in Maine, Vermont, New Hampshire, Massachusetts, Connecticut, Rhode Island, New York, New Jersey, Pennsylvania, Delaware, Washington D.C., Virginia, West Virginia, Maryland, Ohio, Indiana and Kentucky will receive the Antonio Brown cover. 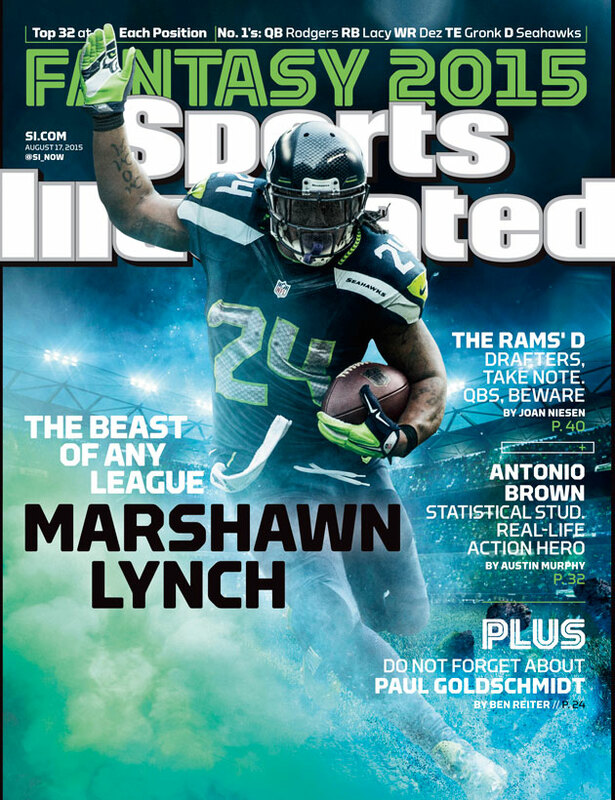 The Marshawn Lynch cover will go to subscribers in Washington, Oregon, Idaho, Nevada, Utah, Arizona, California, Alaska and Hawaii, while the Robert Quinn cover will be delivered to subscribers in Montana, Wyoming, Colorado, New Mexico, Texas, Kansas, Oklahoma, Missouri, Arkansas, Louisiana, North Dakota, South Dakota, Nebraska, Minnesota, Iowa, Wisconsin, Illinois and Michigan. 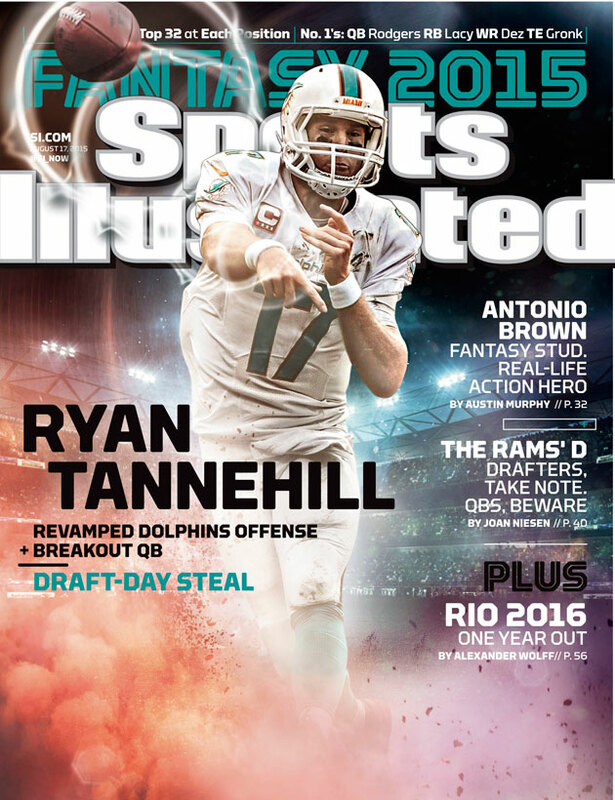 Subscribers in North Carolina, South Carolina, Tennessee, Mississippi, Alabama, Georgia and Florida will receive the Ryan Tannehill cover. Newsstands in Ohio, Indiana and Kentucky will also receive this cover. The issue also features non-fantasy football content, including a farewell to NFL Hall of Famer Frank Gifford, who died Sunday at 84 of natural causes.